Quick way to make sure your sliding glass door is working properly. Don’t have a sliding glass door? give us a call and we can install one! 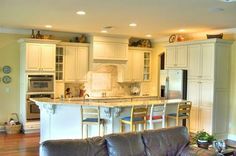 Find the right countertop for your kitchen then give us a call so we can make your vision a reality. We loved this article in the Sacramento Bee! Call us today for help with your bathroom remodel. It’s a small room that gets a lot of use. That makes its visibility important, as well as its comfort. The hall bathroom represents a design challenge: How much style can you fit in 40 square feet? But that little room also could be an appealing starting point: a remodeling project small enough to be affordable and still look stylish or even luxurious. Bathroom remodels continue to be a hot item this summer, report industry experts. As the economy continues to recover, homeowners keep up the trend of updating their houses instead of moving. But these little rooms represent a design challenge – namely size. It’s small and can’t get bigger. Often, the hall bathroom’s position in the house, squeezed between other rooms, prevents expansion. A typical hall bath with shower measures 5 by 8 feet; with a bathtub, it’s a few square feet more. Throw in the toilet and vanity, and that’s one cramped space. The trick is to make the room look more spacious without knocking down walls. Sacramento designer Kerrie Kelly likes the new options offered for smaller bathrooms. Just make sure that vanity has more storage space, Headrick said. 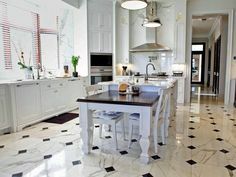 Large-format tiles – often 12 by 12 inches or 12 by 24 – on walls or the floor create the illusion of more in less space. “Large-scale tiles are increasingly popular,” Headrick said. “People want to get rid of the grout lines. From a maintenance standpoint, the bigger tiles make sense; they’re much easier to keep looking new. Contrasting with the big tiles are little mosaic tiles that add sparkle and texture. The new accents combine tumbled or polished stone with ceramic and glass. A tile backsplash is one of those DIY weekend updates, she added, using such tools as SimpleMat to line up the tile. White overwhelmingly remains the most popular choice of bathroom color. According to the National Kitchen and Bath Association’s 2013 Style Report, white and off-white are used in 71 percent of all bathrooms, followed by beige and bone. The bathroom color on the rise: gray. It will be used in an estimated 56 percent of 2013 bathroom remodel color schemes, says the NKBA, because of “its growing appeal, creating chic, sophisticated spaces.” Gray also blends well with marble and other natural stones. “People are really liking more grays and natural tones in the bathroom,” Headrick said. Cutting down on clutter also can make a room seem larger. So do large (often framed) mirrors; they give the illusion of more space. But storage space is always a necessity. Mirrored storage – such as a large, recessed medicine cabinet – tackles both issues. “(I) love the idea of Robern medicine cabinets that incorporate loads of storage, lighting and electrical all in one component,” Kelly said. 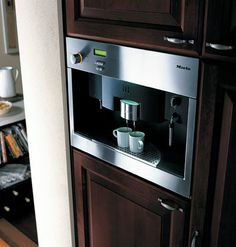 Recessed storage such as shelves or cabinets built into the wall add space without using up more floor space. Pay attention to lighting. Soft light from sconces at either side of the vanity mirror cuts down on shadows. But bright light is needed for such tasks as shaving and applying makeup. Kelly spices up bathroom lighting with a little bling. A small chandelier can be fun and unexpected in a guest bath. A light bar can look sleek and stylish. The most requested item in bathroom makeovers: a larger shower. 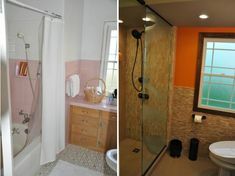 Also popular are showers with a built-in bench and a “pony wall,” or half-wall, and half-glass enclosure. “It minimizes the glass while maximizing the light in the shower,” Headrick said. Shower fixtures offer a lot more options, too. Multiple showerheads – with body sprays at different heights – are popular. So are “rain” shower heads that install in the ceiling and allow the water to cascade down as in a summer storm. “Rain heads work especially well if you’re getting rid of the shower walls,” Headrick said. One remodel that makes a difference: swapping out the toilet for an efficient water-saving model. Often, the hall bathroom gets the most use. Trends from the kitchen continue to migrate into the bath. 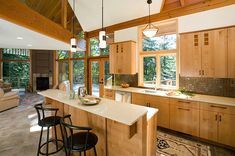 That includes the use of synthetic counter materials such as Silestone instead of granite or marble. “We are seeing integrated sinks with Silestone being very popular, especially in the white coloration and those that mimic Calcutta and Carrera marble,” Kelly said. In fixtures, chrome, gold and oiled bronze are making a comeback, but the best-seller is brushed nickel. “More than anything, brushed nickel has become the new standard,” Headrick said. • Start with a budget. It seems simple, but it’s so important. Money affects every other decision in this project; know what you can afford and are willing to spend. Also, consider time in your calculations. Hiring an expert may get the project done much faster. • Go green: Water-efficient toilets and low-flow shower heads pay off with future savings. Low-VOC paints and chemical-free products are better for your family’s health. Recycle when possible; consider painting cabinets instead of dumping them into a landfill. • Refinish: Putting a fresh sheen on a tub, shower, sink or tile costs a fraction of replacement. Consider refinishing these ceramic fixtures. It takes less time than replacing, too; your bathroom won’t be torn up for weeks. • Don’t move the plumbing: Keep the toilet, sink and tub or shower in the same positions. Changing them may sound easy in a small room, but it involves a lot of plumbing work under the house and in walls. That’s expensive. Spend the money on other upgrades. • Cheap and easy change: Keep the same vanity but update the hardware and fixtures, such as drawer pulls and faucet handles. If you change the sink faucets, update the shower fixtures, too. Be sure to use the same finish – such as stainless steel, aged bronze or brushed nickel – to keep the room looking cohesive. • Be brutally honest: Can you really do this yourself? Know your DIY limits and bring in experts. It costs less to hire someone to do it right the first time than repair bad DIY mistakes. Concentrate on what you can do, such as painting or tiling a backsplash. 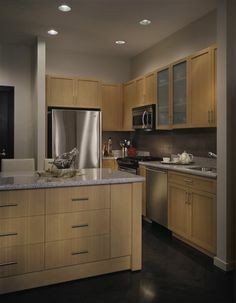 • Lighting is important: More overall lighting makes a small bathroom seem larger. Installed at eye level, sconces on either side of the vanity mirror offer ideal lighting with fewer unflattering shadows than overhead lighting. Remember that brighter light is needed for shaving and applying makeup. A dimmer is good for a relaxing bath. 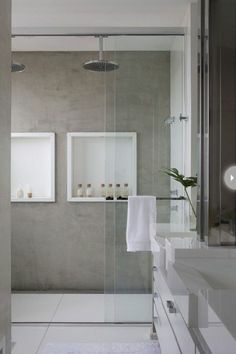 • Ventilation: Moisture is your bathroom’s enemy. A good vented exhaust fan is a must. New models are much quieter these days, and more stylish, too. Look for a fan rated at least 50 cubic feet per minute for a typical hall bathroom.